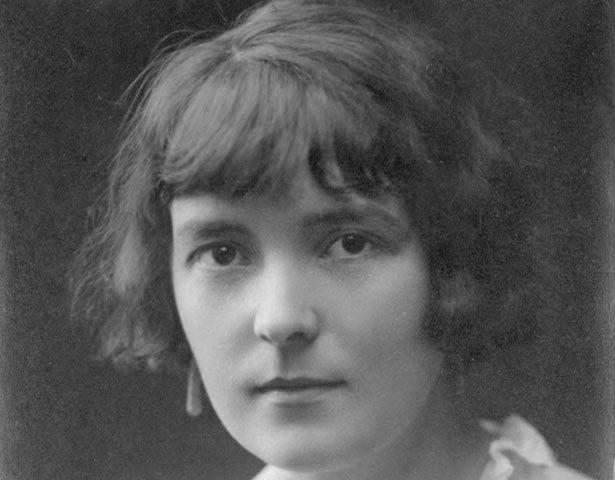 Katherine Mansfield wrote short stories, poetry, letters, journals and reviews, and is regarded as a central figure in British modernism. Three story collections were published while she was alive and two posthumously. Much has been written about her work and her brief, tumultuous life. Kathleen Mansfield Beauchamp was born and raised in Wellington. Her writing talents were noticed in high school. As a teenager she spent nearly four years in England. Back in New Zealand she was dissatisfied, longing to return to England’s cultural richness. She had several short stories published in Australia in 1907 and announced that she wished to be read only ‘as K. Mansfield or KM’. In 1908 her father let her return to England, agreeing to pay her a living allowance. Mansfield became pregnant to one man, and married another. She miscarried, and her mother deleted her from her will. Her experiences informed the stories she wrote. In December 1911 Mansfield met John Middleton Murry, editor of the arts journal Rhythm. They began an unconventional but committed relationship. Katherine continued to write, building her reputation. However, the couple had financial worries and frequently changed address. They associated with many literary luminaries, who recognised Mansfield’s brilliance. In 1915 Mansfield's soldier brother Leslie Beauchamp visited her, and they reminisced, planning a return to New Zealand. When Leslie was killed, Mansfield was devastated. Her grief influenced her work, along with her nostalgia for New Zealand. Mansfield had tuberculosis. As her health deteriorated, she tried many treatments, and completed some significant stories. In 1923 she suffered a fatal haemorrhage. She willed her manuscripts, notebooks and letters to Murry, who published many posthumously, and contributed to the growth of her international reputation. We have 1 event in history, 4 biographies, 3 articles, related to Katherine Mansfield.